“Who’s better: Lemmy or God? Wrong dickhead, trick question. Lemmy *IS* God.” If there was ever a quote that summed up Ian Fraser Kilmister perfectly, it is that one. On 28 December 2015, Lemmy tragically passed away as a result of prostate cancer and heart failure, just four days after his seventieth birthday, and only two days after diagnosis. The death of Lemmy came as a huge shock to the rock world, many saw Lemmy as an immortal figure who would outlive us all. At one point in 2011’s ‘Lemmy: The Movie’ a fan claims that a nuclear holocaust would wipe out all life apart from cockroaches and Lemmy. Of course, the legendary status is well attained. It is rumoured he used to drink a bottle of Jack Daniels a day, and, when his health began to deteriorate, he switched from Jack Daniels and Coke to the much healthier alternative of vodka and orange juice. However, behind the myth of immortality and the iconic status, lay an incredibly intelligent man, often credited by his peers as incredibly kind and sweet. This is perhaps best identified in the first words Lemmy ever spoke to Dave Grohl: when Grohl approached to introduce himself, Lemmy offered his condolences for Kurt Cobain’s passing. However, the most important thing to remember about Lemmy is the effect he had on music. 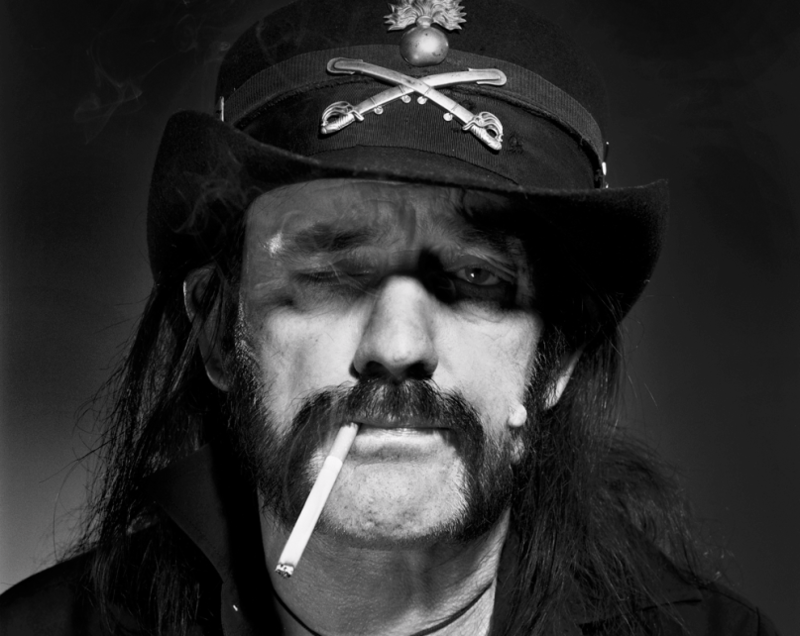 The sound he created with Motörhead, a fusion of blues rock and punk, arguably created heavy metal as we know it today. Just look at the people that appeared at his memorial service: Gene Simmons, Dave Grohl, Slash, Scott Ian – each of them key players in some of the biggest and most influential bands to walk the Earth, all claiming inspiration from Lemmy. At Lemmy’s 50th birthday party in 1996, the house band was a cover band called The Lemmys. And who was in this cover band you ask? Well, it was the four members of Metallica, arguably the biggest metal band ever, who claim Lemmy was a direct inspiration for starting a band themselves. Motörhead never compromised their integrity, never altered their sound to conform to current trends, and, now that Lemmy is gone, you will never see this sort of attitude in a band again. Even in the face of increasing ill health, Lemmy delivered on his promise to release an album every two years, each of them sounding just as vibrant and ferocious as the albums they released in their heyday. I’ll never forget the first time I saw Motörhead, because I wasn’t able to hear properly ever again. How Lemmy managed to go forty years without going deaf is beyond me, because the volume Motorhead played at was at a level I had never experienced before. Posted in Music and tagged lemmy, Music, obituary. Bookmark the permalink.